When we think of K-rappers, the usual soloists comes to mind – Jay Park, Tablo, Verbal Jint, San E – and for good reasons. Their sick flow and quick wit are second to none, so I suppose that’s why they are featured as judges in rap competition shows such as this season of “Show Me the Money.” But rarely do we consider the Korean idol rapper line in our musings, and when we do, it’s the well-known Zico’s, G-Dragon’s, and Rap Monster’s of the K-pop world. With an association with their boy band images, Korean idol rappers certainly have it tough and are not taken seriously enough. Fortunately for them, this Kultscene writer is able to look past the “idol rappers aren’t real rappers” stigma in order to give them the recognition they deserve. 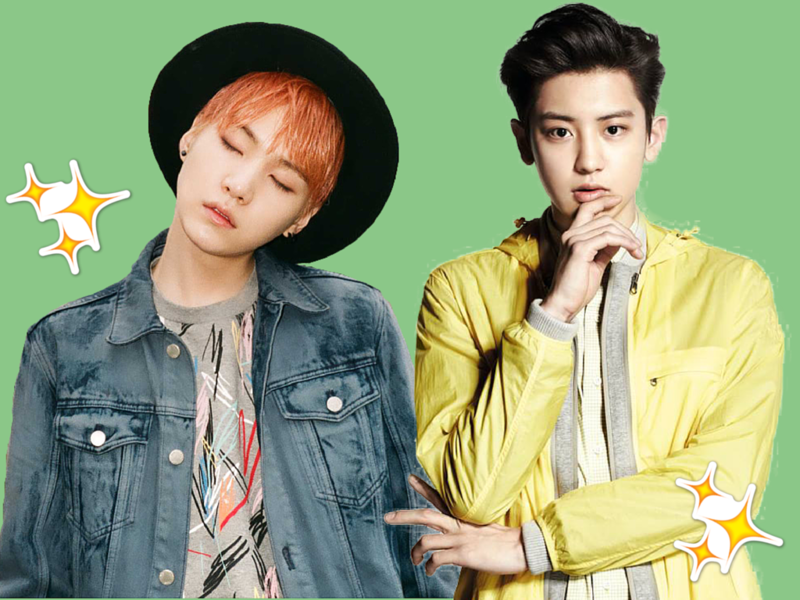 Here are just five talented yet underrated male Korean idol rappers entitled to some more loving. Many may remember him as the guy who started the whole Gwiyomi player trend, but one listen to BTOB’s Ilhoon’s spit-fire raps and listeners might divorce him from his iconic aegyo (cute display of affection). Like his Cube Entertainment label mate Yong Junhyung of Beast, Ilhoon has been featured in numerous tracks, including HyunA’s latest single “Roll Deep,” where he turned up the swag, and G.Na’s hit “Oops,” where his smooth as silk raps made G.Na sound like his back-up singer. As one of the most versatile rappers in the K-pop industry, it always baffled me that his rap skills are not acknowledged more often. He’s got the speed, rhythm, and emotions to make it as a soloist so why not, Cube? And after he had the honor of closing his group’s first full-length album with his lulling outro “Everything’s Good,” it only proved that he has the competency to. BTOB seems to be really popular in the rap department because their other rapper also made the list. Also known by his pre-debut stage name Heota, Lee Minhyuk has a style similar to Ilhoon’s, especially when it comes to some of his more aggressive works. His deep voice when he delivers his raps betrays his boyish, good looks; he is a man more about the power than the agility. So perhaps it should not come as a surprise that Minhyuk/Heota used to collaborate with Block B’s rappers Zico and Kyung during their underground rapper days. Recently, Minhyuk returned to his roots as Heota when he featured in Postmen’s track, “I’m Ok,” which also marked his first time lending his voice on another artist’s track since debut. Besides complementing the ballad with his bold raps, he also demonstrated his talent by writing his own lyrics. Speaking of Minhyuk and his fraternization with Park Kyung, the now Block B member is yet another rapper that deserves more props for his artistry. Although leader Zico often steals the limelight as main rapper, thereby overshadowing his role as the lead rapper, Kyung actually captivated me slightly more with his familiar rap style that is a bit reminiscent of Jay Park’s. The two may not have the gruffest of voices to suit the genre, but their wordplay surely makes up for it. I mean, just listen to his song “Energizer,” off of his pre-debut mixtape with Zico, where he low-key disses Jay Park’s former group by declaring that he’s “not a 2PM fan, but [he’s] the Hottest.” With clever lyrics such as these, Kyung is one rapper that fans should continue to look out for. BTS’s Suga is still another case of what happens when your leader is usually regarded as the group’s best rapper instead of yourself. This is a bit puzzling seeing as how Suga’s raps are just as dynamic as Rap Monster’s. His deep voice and his haughty flair when he spits out his verses is a match made in rap heaven, and if you’ve ever given his old predebut stuff a listen, where he does not have to share the spotlight with six other members, you’d understand. Still unconvinced? Check out his self-produced track “MIX Final” below where he gives listeners secondhand swag with his confidence that is only comparable to American rap legends such as Kanye West. As someone who has consistently contributed his song-writing and producing ability to his group’s albums, Suga is a powerhouse of his own. When it comes to idol rappers, SM Entertainment definitely has the worst end of it. They’re a company mostly known for their visuals and friendly pop music, so what would real rappers be doing under SM? Well, if anyone recalls, the company also once housed the now popular Block B’s Zico and Big Bang’s G-Dragon, and is about to once again break the preconceived notion that they can’t produce any authentic rappers with EXO member, Park Chanyeol. He might be an unlikely candidate for this list, but given his meaningful rap that he wrote for and absolutely slayed on his group’s song “Promise (EXO 2014)”, he easily rises to the forefront of SM rappers in my eyes. Even today, I still can’t get over the surge in his voice and how much it was overly wrought with angst. Moreover, Chanyeol’s bassy voice falls into the same vocal range as K-rapper Simon D, which is why the idol would naturally cover some of his works. Whether it’s bringing the mood up with his rendition of Supreme Team’s “Dang Dang Dang” (poor fellow member Kai never stood a chance against Chanyeol’s booming voice) or bringing it back down with the sultry “Lonely Night,” Chanyeol is able to cover all bases. Even Simon D has commended the EXO member on his execution of his songs. Without a doubt, Chanyeol is the savior of the rapper line within his group and, arguably, his company. Who’s your favorite Korean idol rapper? Share your thoughts in the comment section below and be sure to subscribe to the site and follow us on Facebook, Twitter, Instagram, and Tumblr to keep up with all of our posts. Chanyeol is my pick . Everytime I hear his rap I can’t help myself but flattered. Chanyeol’s voice captivated gal’s heart. Chanyeol is my bias because of his rap that melt me a moment he start to bring it on . chanyeol is not that good lately. especially after his performance in Unpretty Rapstar. lately what he does is fast scream-talking (drop that?). i think he’s better as a singer, if the company can help him develop that side of him, it will be good. bts rappers are all great. i like suga’s flow compared to RM and J-hope. but they are all good. jungkook is even better than other so-called idol rappers in other groups. btob minhyuk and ilhoon are also good – too bad their group is still underrated. Aside from being rapper, Minhyuk is also a vocalist. Suga needs more recognition. Of course BTS is doing great, but his raps are gold. He too deserves the spotlight. most of my biases are rapper and i dont really agree with this article.as for me,usually rappers are the first person i would like to know in any groups.i dont mind their visuals,popularities or whatsoever.but once i like their rap style,of course i would love to knows them or their groups. *stray kids is on my new list.